Daniel is a Partner in our first tier Family team and deals with all aspects of family law. He has particular expertise in acting for high net worth clients in complex financial disputes (arising from marriage or cohabitation) and in those cases involving an international aspect. He is the chair of Resolution’s International Committee and a fellow of the International Academy of Matrimonial Lawyers. He is an elected member of Resolution National Committee and a member of Lord Justice Thorpe’s International Family Law Committee. Daniel regularly advises on issues of international family law and acts as a consultant to other family lawyers on international issues. As a fellow of IAML and chair of Resolution’s International Committee, he has available to him a network of foreign law experts. His cases involve foreign nationals in the UK, expats and foreign assets, and he has cases throughout the EU, the US, Australasia, Far East and the Middle East. Daniel advises on jurisdictional disputes, enforcement against foreign assets, financial claims in England after a foreign divorce and international children cases. In the last twelve months, Daniel has had particular experience of dealing with cases involving Chinese nationals/assets, including a successful defence of a High Court action brought against a Chinese client whose mother was allegedly sheltering assets on her behalf. He regularly acts in cases involving businesses and trusts. Daniel advises on pre-nuptial and post-nuptial agreements, including in complex international cases. 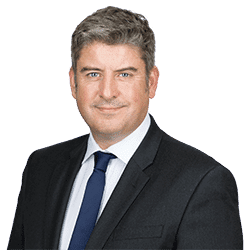 He has particular expertise in drafting pre-nups and post-nups to protect farm businesses on divorce, and has spoken on Radio 4 about this topic. As a core member of Clarke Willmott’s first tier agricultural practice, Daniel regularly advises on farming cases and has access to in-house expertise. He has successfully resolved a number of collaborative cases in the South West and is chair of the local collaborative group and is a member of Resolution’s marketing committee for collaborative law. Advises on financial claims on behalf of children (including CSA disputes), usually in complicated assets cases or where one parent is or has assets abroad.